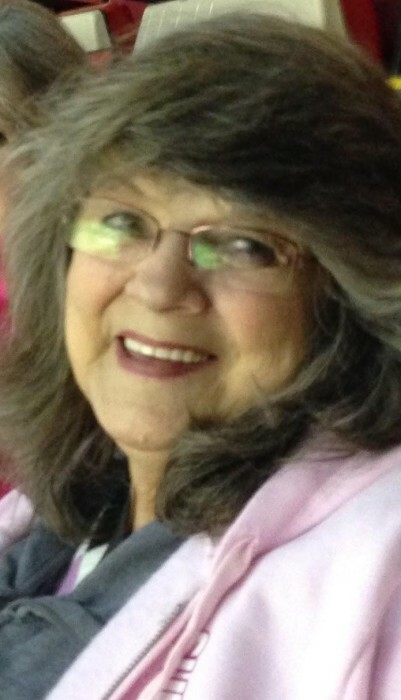 Marcella Ann Grzeskowiak, age 70, passed away peacefully at her home in Osceola on Saturday, February 9, 2019. Marcella was born May 6, 1948 in Mishawaka, Indiana to Henry and Anna (Hann) DeLater. On May 14, 1966, she married Jack Grzeskowiak in Mishawaka, Indiana. Jack preceded her in death, passing away on January 23, 2014. Surviving are her mother, Anna DeLater of Osceola, Indiana and her children David Grzeskowiak and his wife Christine of Baldwin, Michigan and Sara Bell and her husband Brian of Mishawaka. Marcella is also survived by her grandchildren: Brant Grzeskowiak of Kalamazoo, Michigan, Christopher Grzeskowiak and his wife Lexi of Little Elm, Texas, Ally Bell of Kalamazoo, Michigan and Brayden Bell of Mishawaka. Also surviving are her siblings: Larry DeLater and his wife Starlet, Jerry DeLater and his wife Judy, Terry DeLater and his wife Carol and Sharon Woodard and her husband Glen, all of Osceola. Her father, Henry DeLater, preceded her in death. A dedicated wife, mother and grandmother, Marcella always put her family first and that dedication extended to all other children and adults she met. Known as the ‘neighborhood Mom’, she welcomed everyone into her home making sure they had a good meal and anything else they needed. She had a way of putting others at ease and making them feel special. Marcella had a wonderful sense of humor and loved to laugh. She was a kid at heart and would go above and beyond to make her family and others smile. She enjoyed crocheting and knitting blankets and also excelled at video games – to her grandchildren’s delight! Visitation will be held from 4-7 pm Friday, February 15, 2019 at Cruz Family Funeral Home in Osceola with funeral services to follow at 7:00 pm. Interment will be private at a later date. In her memory, donations may be given to the St. Jude’s Children’s Research Hospital. To view her online video tribute, leave a word of condolence for the family, or light a virtual candle in Marcella’s memory, please follow the links provided on the Tribute Wall tab above.